Originally published by Ende Gelände. Edited machine translation by Enough 14. They are accused of trespassing. They are denied basic rights such as telephone calls. Since 14h, the activists have been taken individually to court to investigate whether pre-trial detention is being imposed. 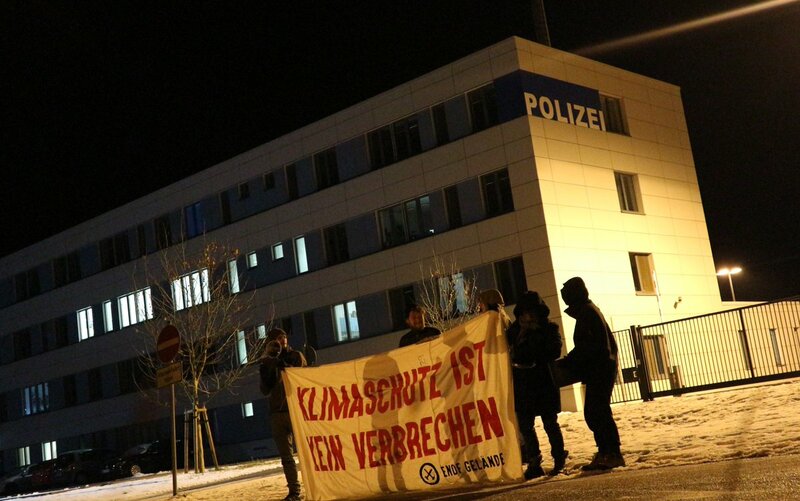 Supporters* of Ende Gelände are in front of the court in Cottbus.